White living room has become more and more popular since the all-white layout is taking over the home improvement trends. Many homeowners choose to give their living room a bright white touch which looks and feels so inviting. Therefore, if you have a plan to remodel your very own living room decor, the all-white look is surely a great idea to choose. You will have a beautiful living room layout which also feels so comfortable to enjoy at the same time. Here, we have picked some inspiring white living room design which can be the ultimate reference when you are about to give some improvement to your living room. 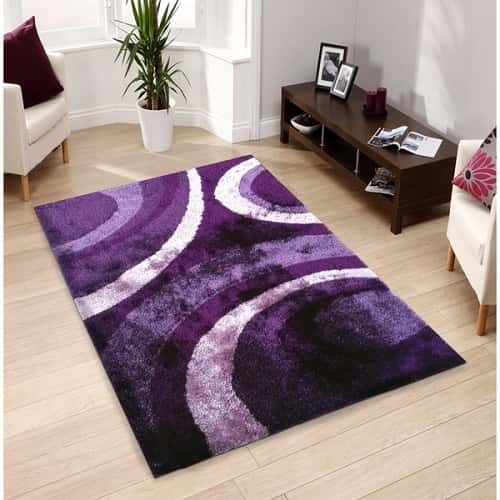 They will never fail to give a superb stylish touch to your beloved home. 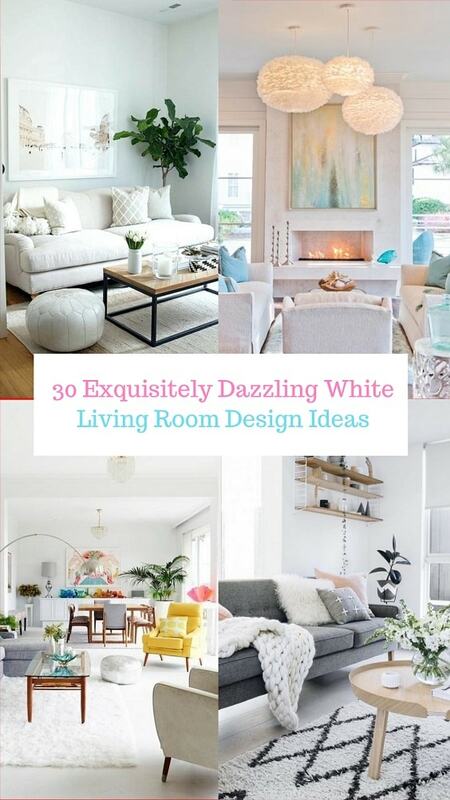 Let’s just keep scrolling to check out our best picks of white living room design ideas! 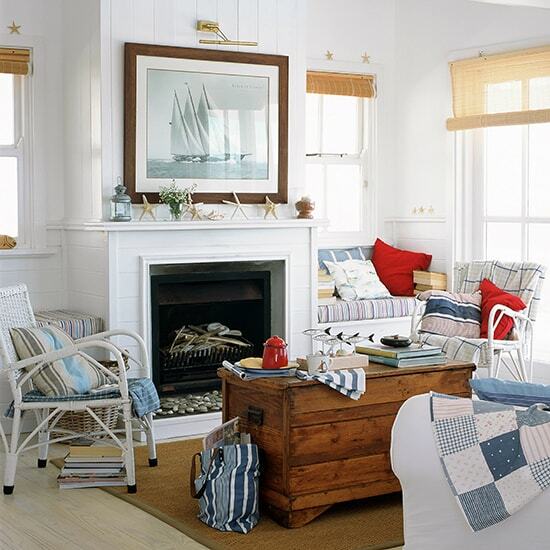 The attractive white living room design which is combined with the nautical atmosphere beautifully. Yeap, white surely dominates the room and colorized stylishly by those nautical types of furniture, decor items, and accessories. Wood is always the right material when you want to colorize a white living room with the natural touch. 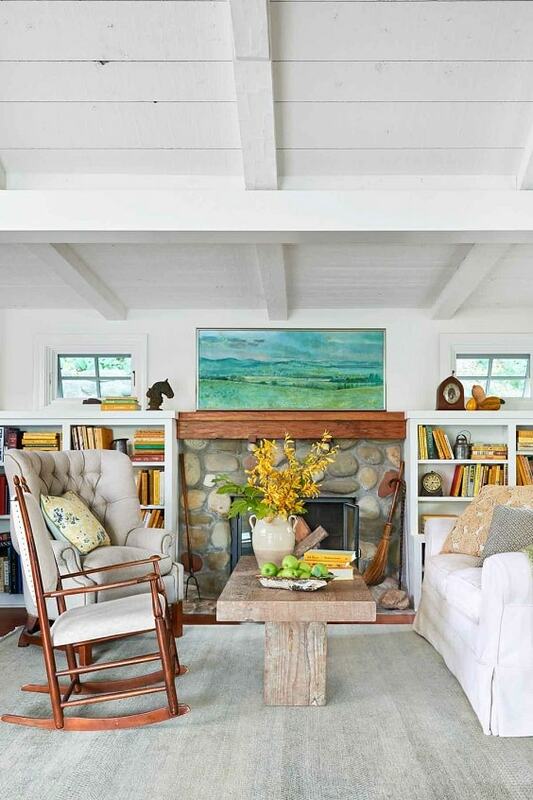 Here, the exposed beams and foundations give an all-white room the beautifully earthy clean-lined nuance. The furniture and decor items of this living room create a stunning glamorous look which is so tempting to have. Then, the grey and white decorative wallpaper give the festive atmosphere to the room’s overall look. The combination of bright white layout and light beige furniture of this living room creates a calming subtle atmosphere gorgeously. Furthermore, the Kentia Palm completes the decor and adds another style admirably. You can feel the warm atmosphere at the first sight you see this white living room design. The furry lighting fixtures, minimalist fire pit, and intimate furniture arrangement crate such a cozy nuance in a very stylish way. 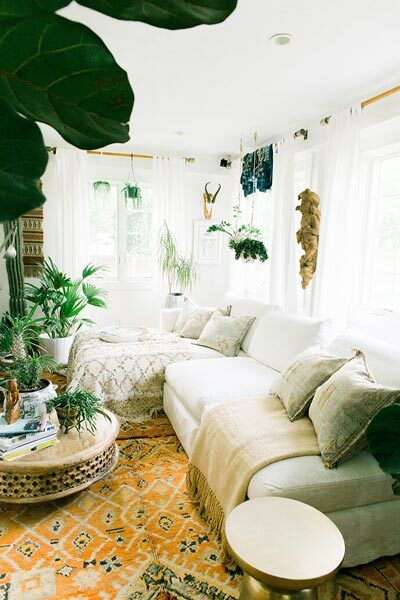 Lots of thick linen, indoor plants, and rustic furniture are some basic keys to a Bohemian decor which is applied mesmerizingly to this white living room. Of course, you will love to spend lots of times in this superbly comforting living room. 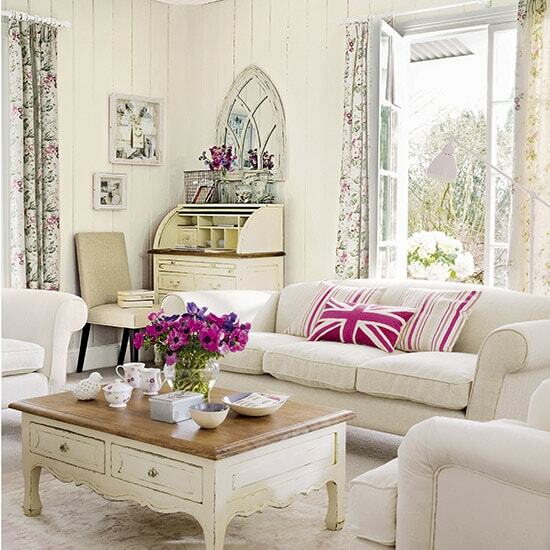 Everyone loves the shabby chic decor and adapts the style for a white living room surely sounds great. Here, a dresser and accent table in the distressed cream finish gives a gorgeous statement which makes the room look and feels so inviting. A catchy white living room which is combined with the rustic nuance to include in your inspiration list. 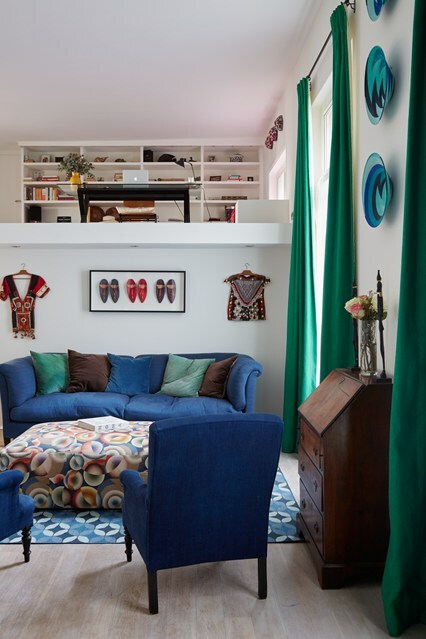 The velvety navy sofas become the elements of surprise which give the room a vibrant colorful touch. Another inspiring white living room with a nautical theme and this one looks more rustic with lots of wooden accents around. The room surely feels so cozy with its harmonious natural nuance. 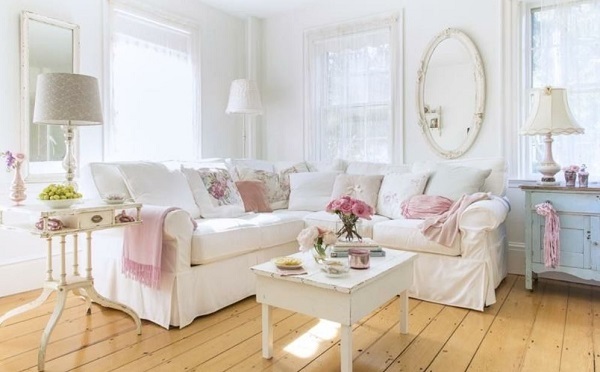 A white living room with a gorgeous vintage touch which is so tempting to have. 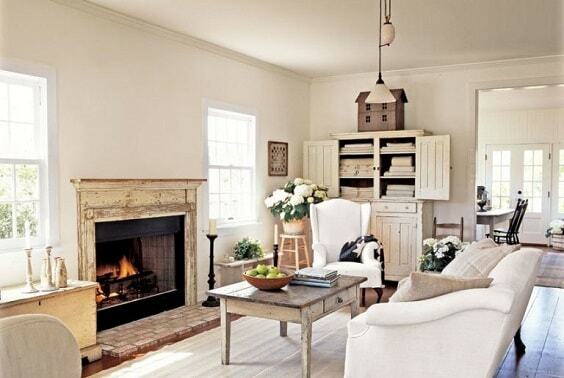 The blend of rustic white and off-white look of this room creates a beautiful layout which goes side by side. Then, to make the room look more decorative, some floral-themed decor items are applied attractively. 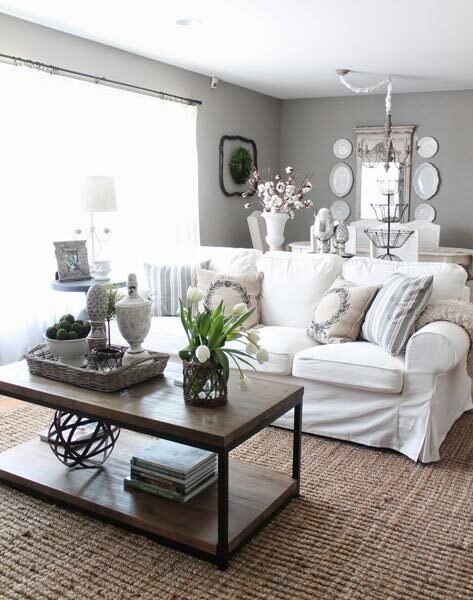 The textured rug of this white living room gives such a chic statement which styles up the room very well. 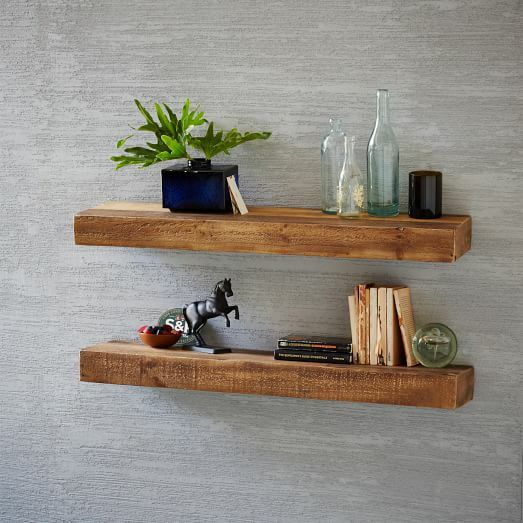 It matches well with the rustic wood table in a natural finish which makes the room stylishly earthy. Installing a huge window is one of the latest trends to make a living room look and feel as inviting as possible. 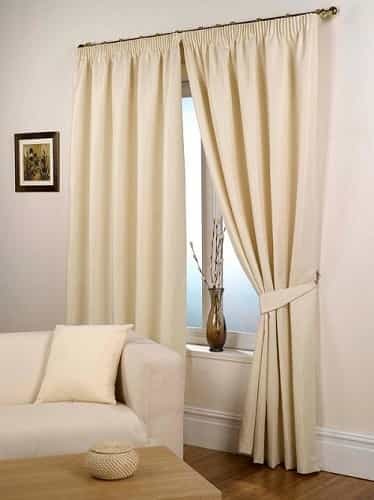 Here, a wide long window in British style gives the room an airy atmosphere which makes it look so stylish. The mid-century furniture is a timeless choice that will always give any rooms a very stylish touch. In this idea, the sofas and couches in mid-century design are chosen which create a very aesthetic look to the whole room. 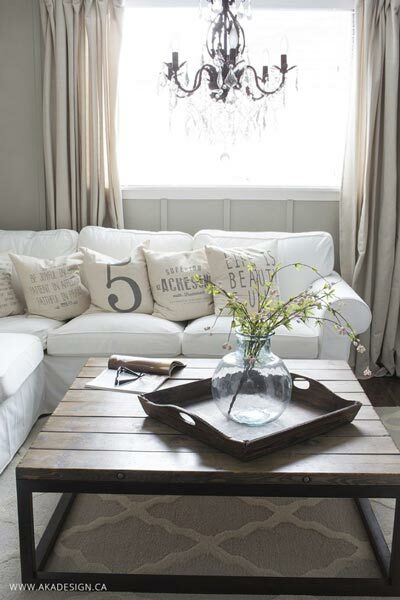 The rustic accent always blends well when it’s combined with the white living room. This idea shows a good way to give a white living room a nice rustic touch which is applied to flooring, furniture, and fire pit. 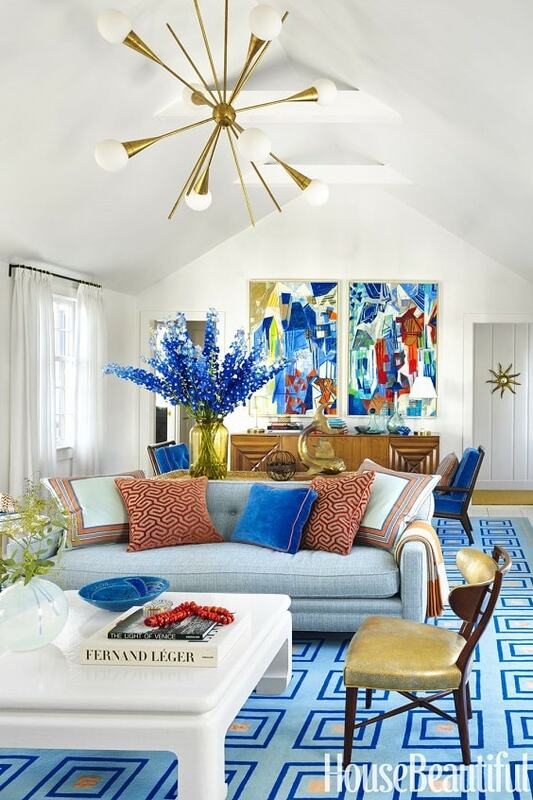 This living room has a very cheerful nuance due to the choices of furniture and decor items. 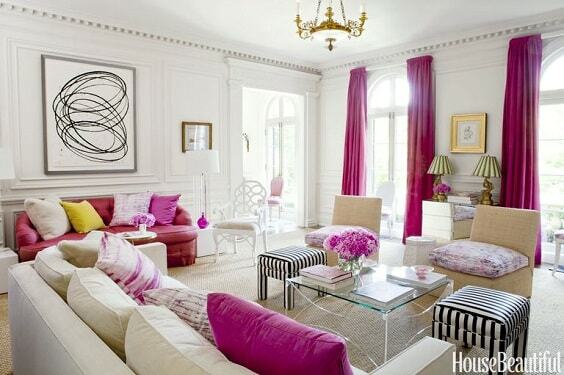 It’s surely an inspiring way to make a white living room look more colorful in a very fashionable way. 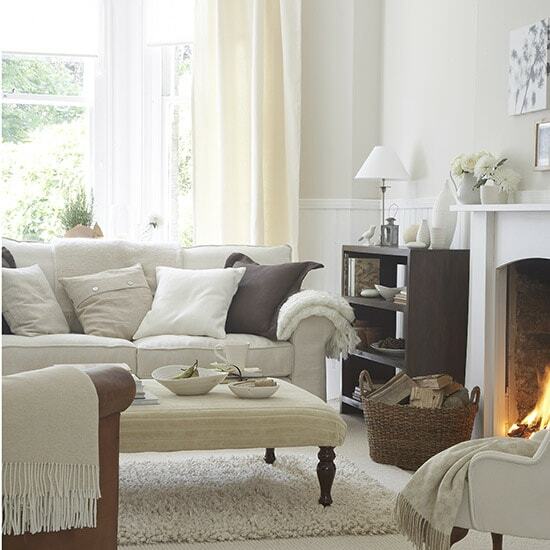 The blend of white, off-white, beige, and brown of this living room gives a comforting warm nuance beautifully. Moreover, the firepit and some linens male the room even much cozier. For you who have a living room with a low ceiling, you can use this layout as a good inspiration. The elegant chandelier becomes the main focal point of the room which complements the rustic table and classic couches glamorously. Another mesmerizing idea of colorizing a white living room with a bright vibrant color and the catchy pink is chosen for this layout. It creates a sweet feminine layout which is so worth to try. This kind of living room is the one which will draw everyone’s attention. 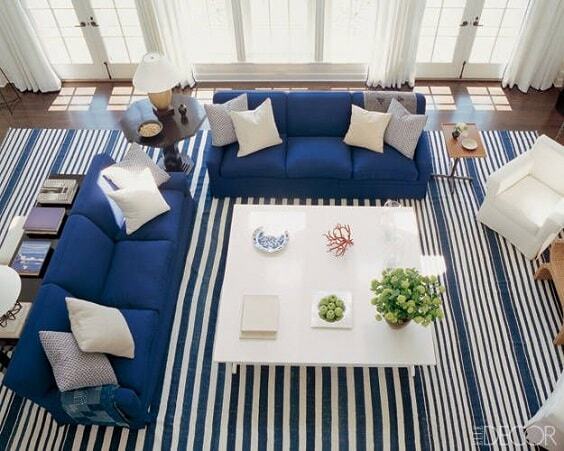 It’s a white and wood living room which is completed by a catchy big striped carpet in blue and white which blends well with the navy sectionals. 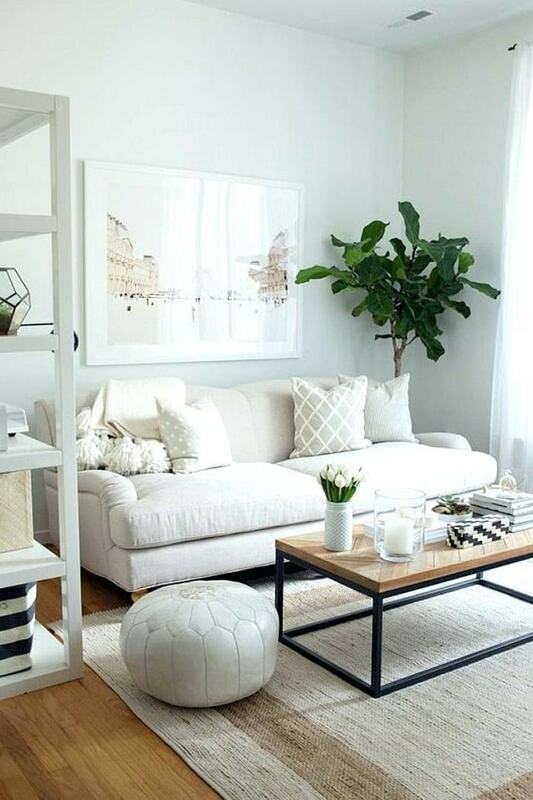 Combining two neutral colors in one layout can be a good idea to try and this living room is a nice inspiration. The bold rustic wood flooring adds a bold touch, then an indoor plant with wood accent tables colorize the room gorgeously. 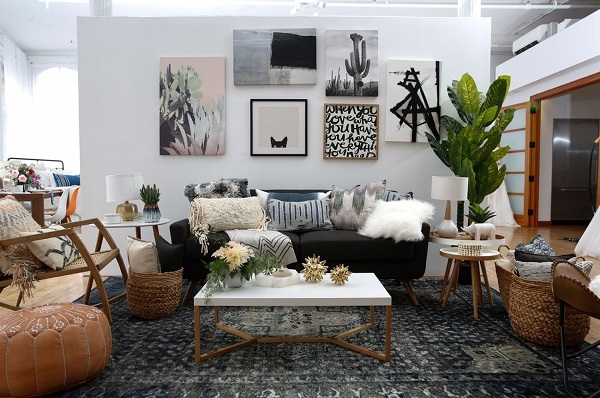 A beautiful living room full of some wonderful artful decor items which make it look so admirable. It’s decorative yet still looks calm due to the color choices inside the room. 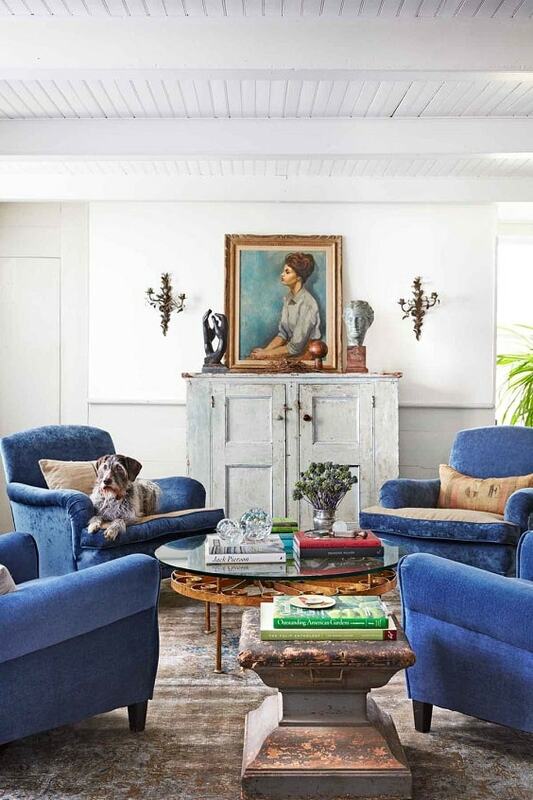 Another living room with Bohemian touch which is filled with lots of decor items and accessories. There are lots of linens and indoor plants which decorate the room, creating a comforting atmosphere perfectly. 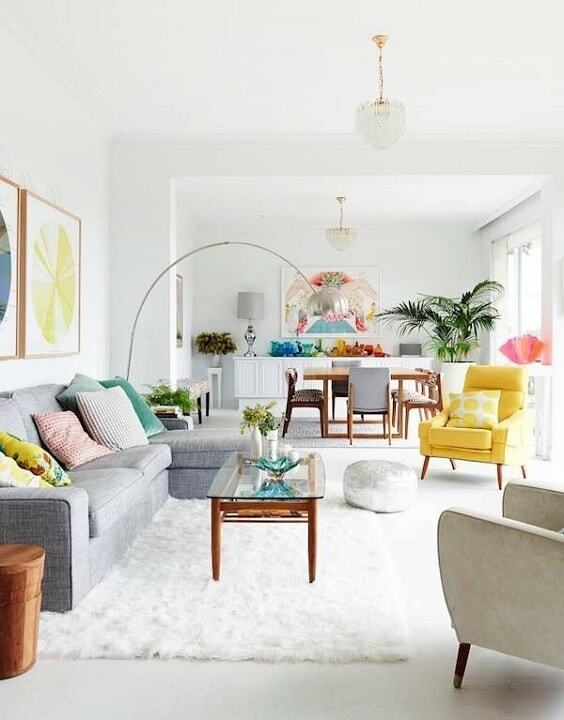 Again, an attractive living room with mid-century style to add to your living room reference list. This one is decorated with vibrantly bold accessories and decor items which gives a very chic attractive look. This living room will provide a very joyful exhilarating attraction for everyone with lots of books cluttered around. The huge bookshelf in the corner of the room becomes the focal point which makes it look mesmerizing. 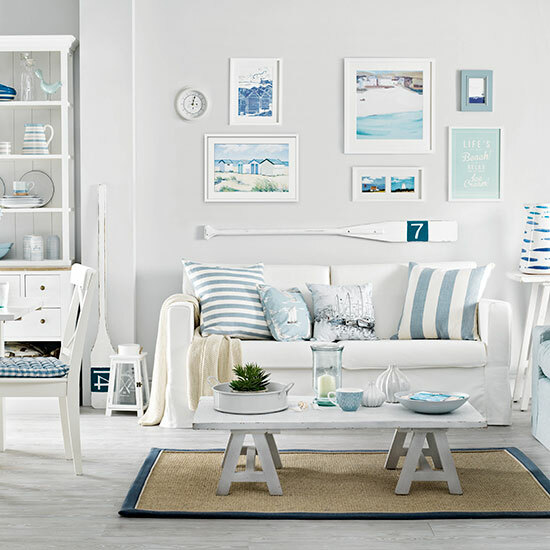 For sure, the beachy decoration is always everyone’s favorite. 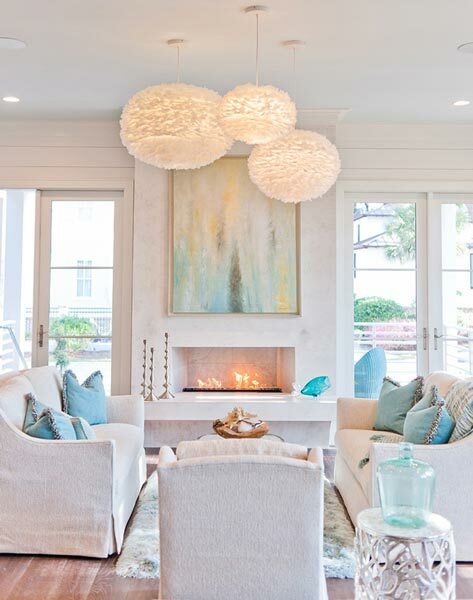 Here, the decor items and throw pillows decorate the room beautifully which creates a stylish coastal nuance. Furthermore, a boat paddle gives a unique nautical touch which blends well with all of the elements of the room. You can always choose a vibrant color to colorize a living room, but choosing the dark one is also a very considerable thought. 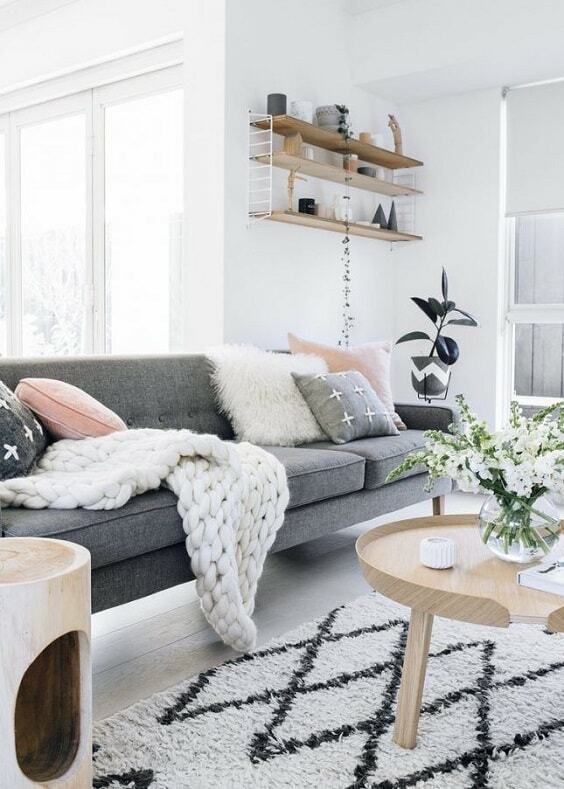 In this layout, the black rug gorgeously pops up a catchy look in an all-white living room, creating a stylish monochrome layout. Then, some houseplants complete the room to make it feel much fresher. One of the easiest ways to make a room look festive is by decorating its walls as catchy as possible. 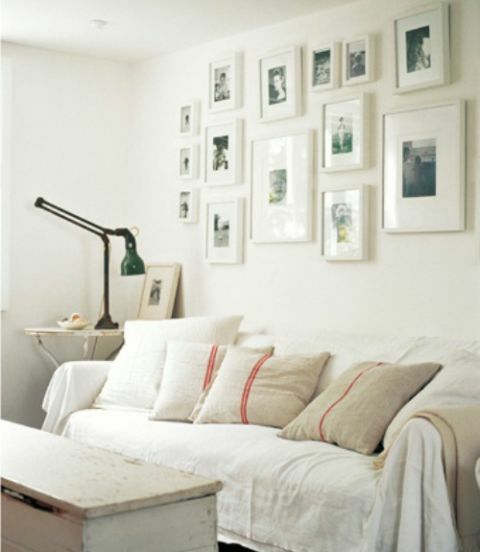 Displaying your own photographs is a worth-to-try way that will make a living room look so admirable. You can frame the photographs with the white frames to create a chic harmonious nuance. 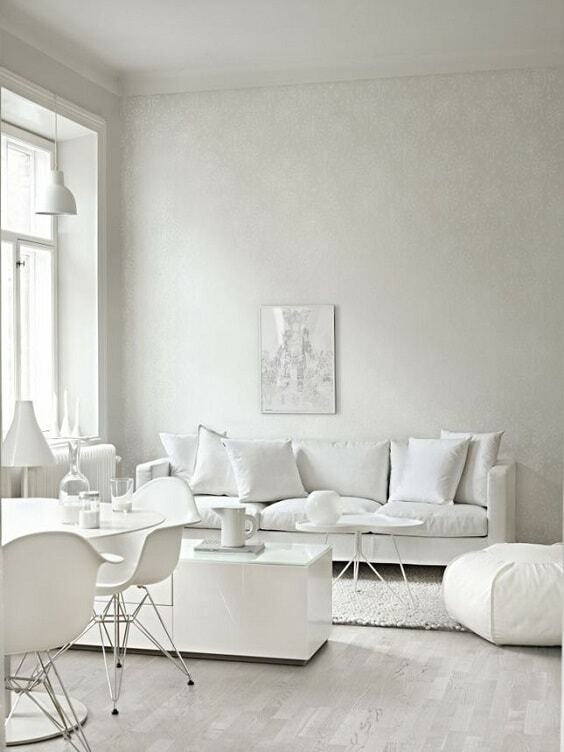 Yeap, there is no any colors except the shades of white in this living room which is enough to make it look so beautiful. To make the room doesn’t look too plain, the subtle decorative wallpaper and washed wooden flooring decorate it stunningly. 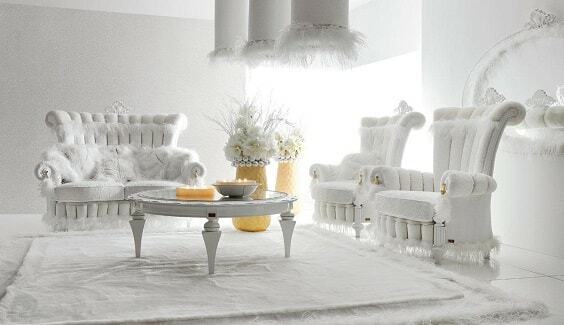 Obviously, this one is a great inspiration for you who want to have a superb all-white living room. Decorating a living room with some natural stuff is always a good option to make it feel refreshing. In this beautiful living room, a tall houseplant is made as the focal point which perfectly complements the rustic table, chairs, and rugs. A farmhouse-themed layout is a good option for you who want to have a traditional rustic decoration. 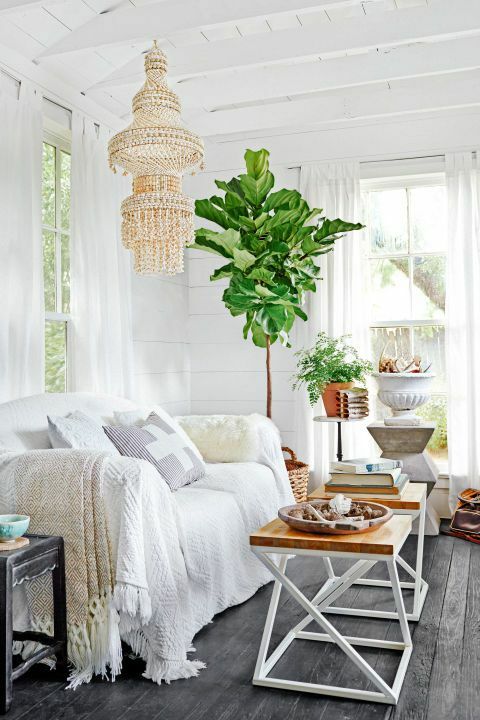 Here, some rustic furniture and accessories dominate the whole room which creates a farmhouse look gorgeously. Since the natural decor item is also one of the particular characteristics of a farmhouse layout, some flowers are placed around the room. As has been told before that combining white with other neutral shades is never a bad idea since it will create a nice overall look. 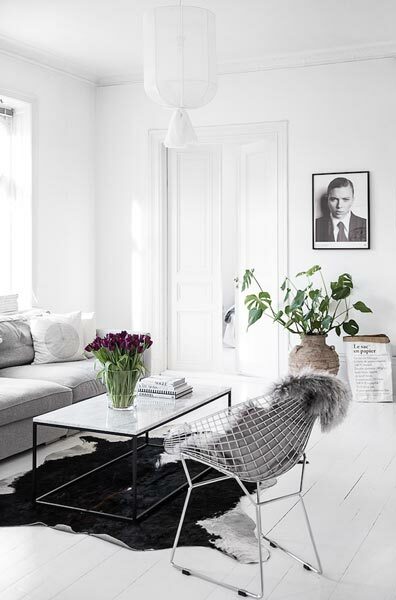 The walls of this living room are painted in white and grey which makes it look calmingly bright. 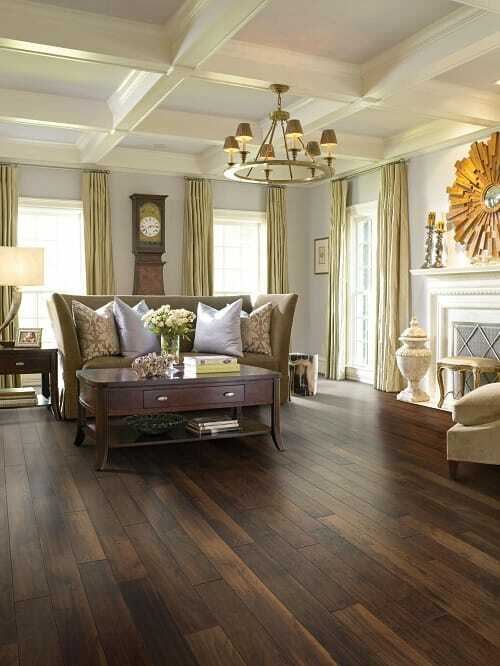 Then, the rustic wood flooring completes the layout which enhances the coziness of the room beautifully. 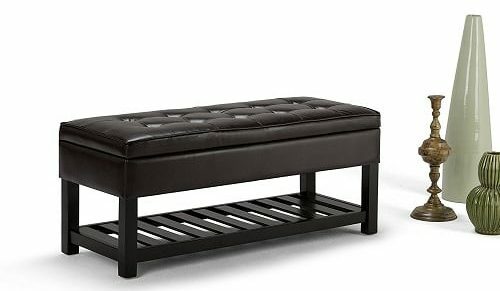 The French-style furniture is the perfect option when you want to have a classic glamorous decor. 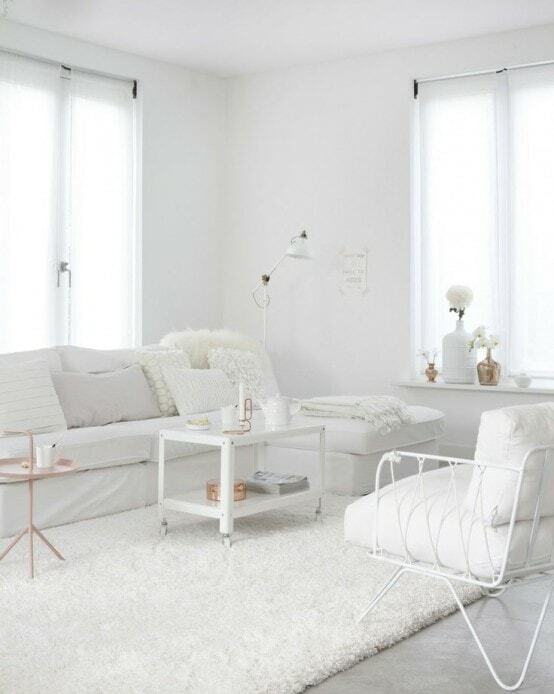 Here, the furniture in such style with all-white overall look creates such a stunning layout which you can try to copy. 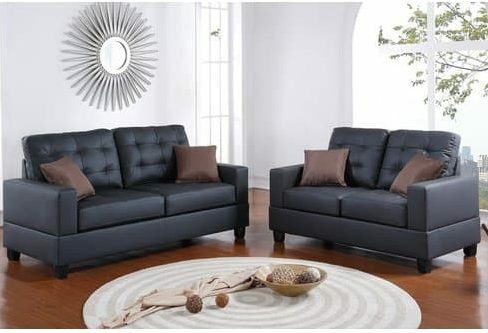 A simply stylish living room in minimalist which can be a good inspiration for you who have a small living room. 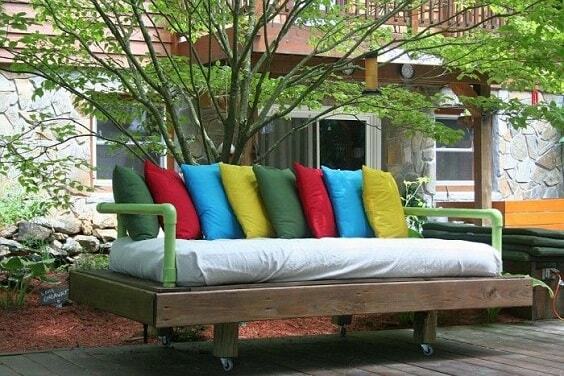 The design of the furniture and its arrangement are enough to make it comfortable and adorable at the same time. So those are some inspiring white living room which can be the ultimate references when you want to bring such look to your very own living room. 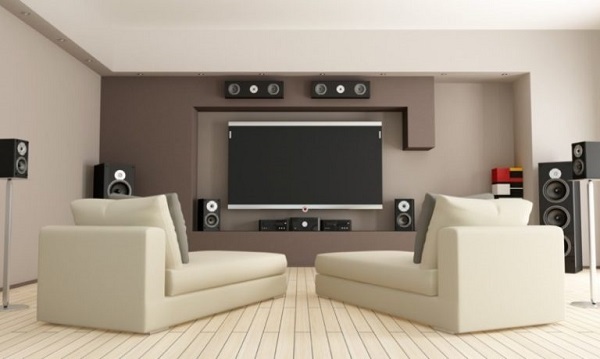 Pick the one which suits your taste, needs, and the existing layout of your living room. It’s always a good idea to apply the white overall look to a living room since it gives a timeless style that everyone lives. Moreover, it also creates such a very inviting atmosphere to enjoy.